Should Consumption of Alcoholic Beverages be allowed at grandstand events for the Central Kansas Free Fair? 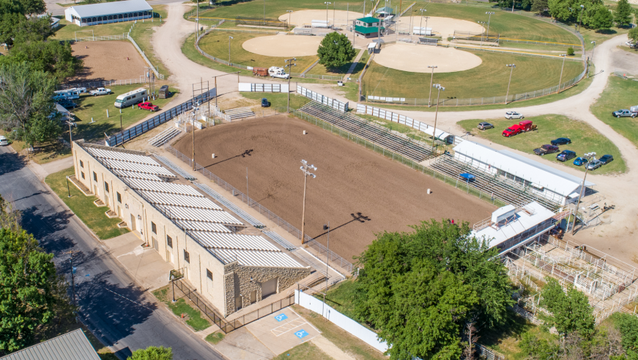 The Central Kansas Free Fair has asked me to seek your input on a question about the operation of grandstand events as it relates to alcohol and cereal malt beverage (beer) consumption. The City Commission is responsible for approving these matters since the events are on public property. Your input will help both the City and the Fair. Fair organizers have received requests to allow alcohol to be sold, served, and consumed in the entire stadium area during the grandstand events. The Fair board has considered a number of options, and the Fair board and City Commission agreed to a 50-50 arrangement last year that split the arena into East and West halves with such beverages being served on the East side only. Select which option you like best below, and you may provide comments with further options or advice for consideration. Subscribe to receive important updates about Central Kansas Free Fair Beverages. Subscribe to updates from the City of Abilene, and you'll get emails announcing new topics and the outcome of existing topics.